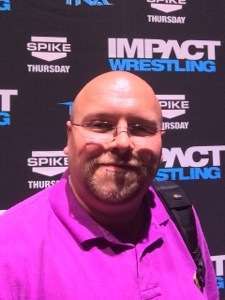 Impact Wrestling is back in Orlando! Interview with Superstar Rockstar Spud coming soon! Hey all it’s Jason again from Orlando Fun and Food! I am at Universal Studios Florida right now watching some Impact Wrestling Live! Just had an awesome interview with the Impact Wrestling Superstar Rockstar Spud!!! Check back for more information and the exclusive interview! Previous Post On ride view of the 335 ft drop from Falcon’s Fury at Busch Gardens Tampa!